A big share of American craft beer volume growth is in IPAs, wheat, lighter-flavored session beer styles and seasonals. That translates into increased demand for high-quality specialty malts so craft brewers can put signature flavors and colors on these beer styles. Sure, our Master Maltsters feature story was packed with malt market info and supplier tips for craft brewers, but did you know that for every insight-packed Craft Brewing Business feature there are nuggets of info that are left on the cutting room floor? It’s not that this information isn’t valuable. Often times, it just doesn’t quite fit into the narrative flow of the story. Here at CBB, we don’t like to see anything go to waste; so, we collected a bunch of leftovers from the malt feature story. If you haven’t already, be sure to read the Master Maltsters feature story to get the full picture. Enjoy! 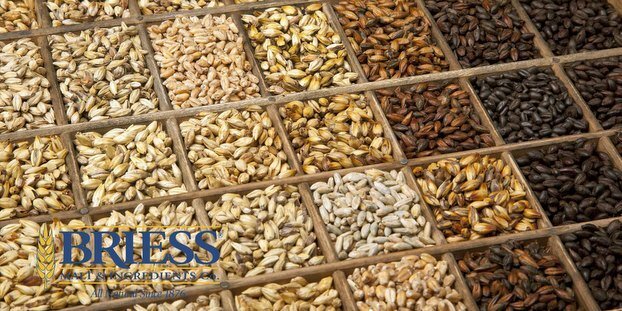 Briess has been a family-owned malting company since 1876. When Ignatius Briess started malting barley in their original Czechoslovakian malthouse, he and his son Rudolph developed a sizable export business. Then war disrupted their malting operations, so his grandson Eric came to the United States to continue supplying customers from here. It wasn’t long before caramel malt was being produced, something of a prelude of what was about to happen with the American Craft Beer movement. In the 1970s, after Eric died, his son Roger took over the company, completely embraced craft brewing and dedicated company resources to it. He was a European trained, fourth generation maltster/brewer. Roger changed the company’s focus from export to producer of specialty malts for American craft beer. Of course Briess still exports, but its focus is supporting craft beer in the United States. Cargill entered in to the malting business in 1979. The company has relationships with global maltsers to provide brewers access to the highest-quality malts – including Dingeman’s fine Belgian malts. Cargill’s worldwide malt network includes malting facilities in strategic proximity to the premier barley-growing regions in Europe and the Americas. This geographical connection aims to tap the best available malting barley. Cargill supplies domestic and imported bulk malt and specialty malts including base malts, specialty brewers malts, clear malt, diastatic malts and distillers malt, as well as filter aids, adjuncts and sorghum syrup. A family-owned and family-run malting business since 1879, the company started out as a small local supplier of malt for markets in Bamberg and environs. It has since grown to become a world market leader in specialty malts, producing the one of the largest portfolio of malts — some 80 varieties — and serving customers in 135 countries. It has been a staple in the brewing community, attending every Craft Brewers Conference since 1996. The company makes a point to continue to engage with their customers face-to-face. The purchase of a 2.3 million bushel grain processing facility in Wyoming connects Briess with more than 230 experienced barley growers. The company has announced plans to work with growers to increase malting barley production in that region. Weyermann® invites brewers to its Pilot Brewery in Bamberg, Germany. This is an ideal opportunity for creative international brewers to experiment to their hearts´ content with malts in the company’s 2.5 hl (2.13 bbl) SCHULZ mono-bloc brew house. The craft beer industry’s hottest trends can often be seen by reading the agricultural tea leaves. In barley’s case, demand for U.S. vs. international malt brands is mainly driven by the style of beer that the brewer is brewing, as well as the story behind the beer. Although, the base malts used in the United States are primarily domestic, explained Milligan. The balance between United States and imported really comes into play with the small percentage of specialty malts. Weyermann agreed that flavor characteristics and consistency, as well as the quality of the raw materials, are more important to modern craft brewers, who make high-value beers, than are the origins of these raw materials.